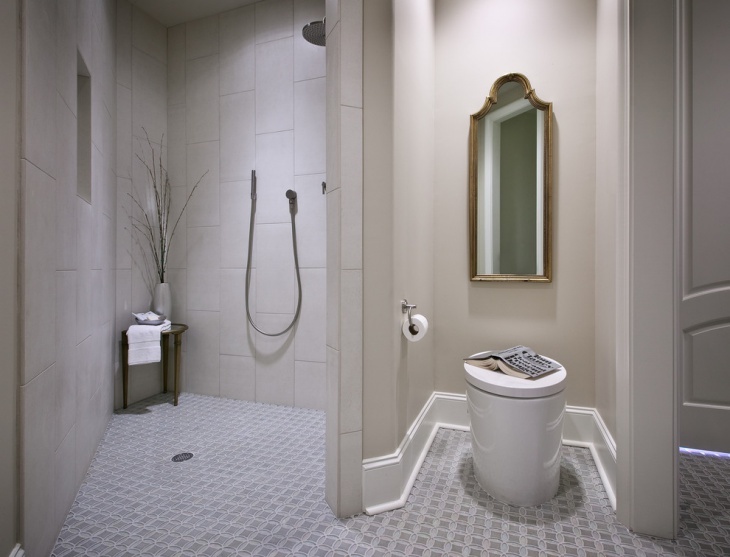 Looking to get more out of your small bathroom space? A Curbless shower would be an ideal choice that is being propagated by several architectural designers. Apart from offering an upscale look to the bathroom, Curbless showers allow for the flooring to continue till the shower stall without the necessity of lips and steps. 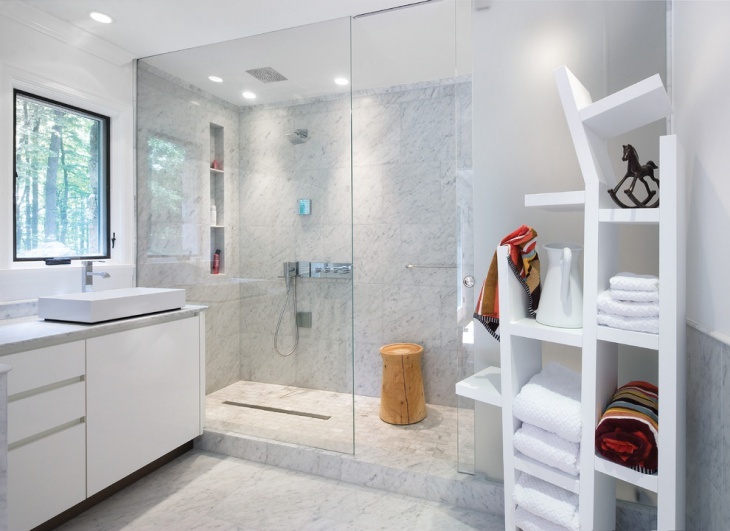 Further, a glass shower stall adds to the minimal visual barriers around the already small room. Curbless showers, in one statement, facilitate a bigger bathroom and consequently a more luxurious facility. Here are some examples that should give you a better idea. 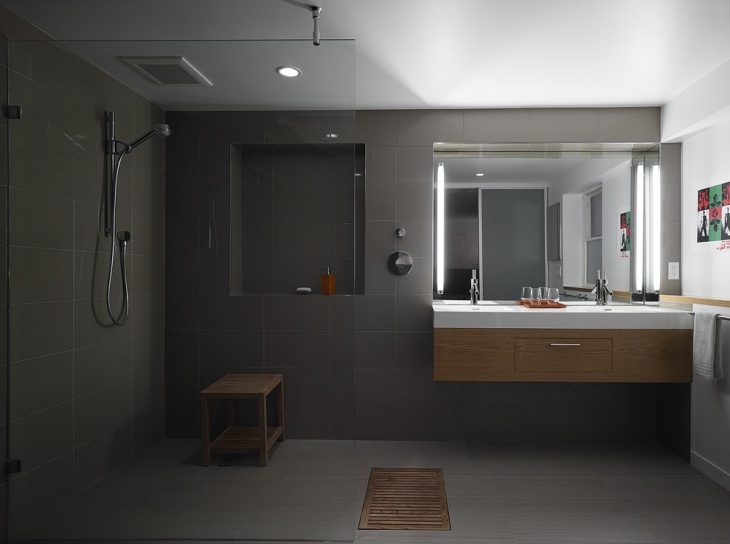 Shower places need not be fixed and this opportunity can give rise to a lot of layout experiments in the bathroom. 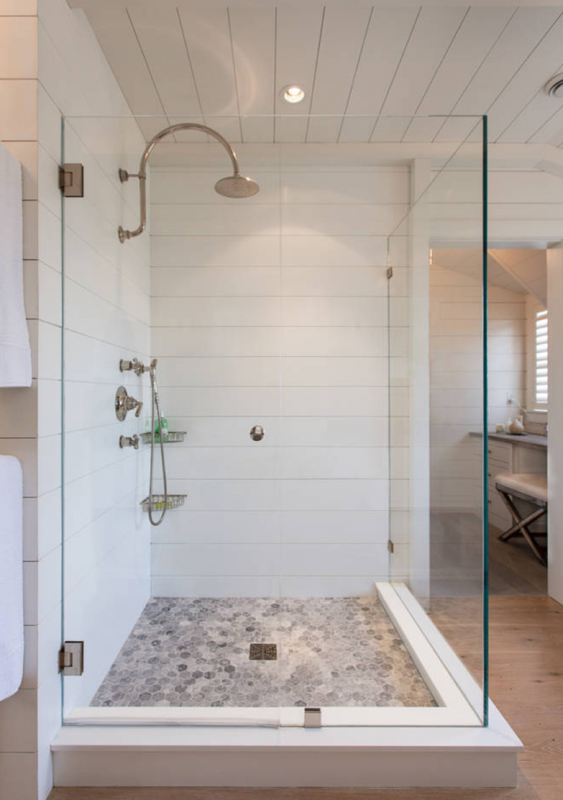 As this example shows, the addition of a curbless shower allows for a bigger floor space and an overall sense of volume in the bathroom. 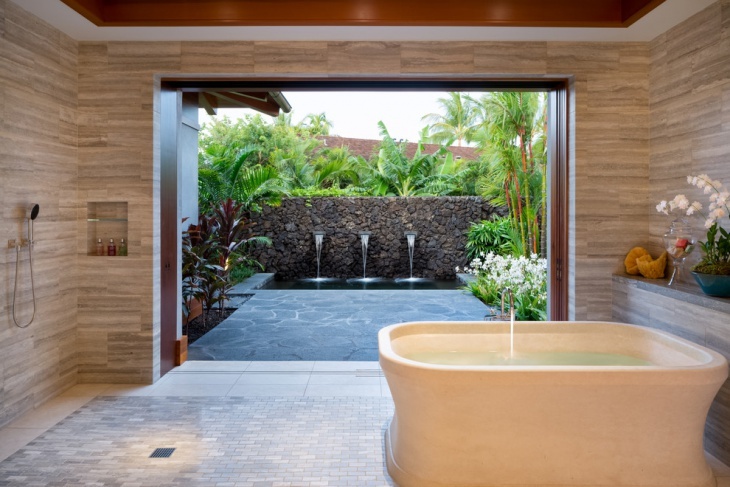 If you have always been fascinated by the idea of an outdoor Jacuzzi, here’s the answer. At the ore of the design is a curbless shower, allowing you to virtually take your soap soaked bath time to anywhere within the property limits! A bathroom is supposed to be the most intimate of places. Well, if you are looking to add a degree of fun to it, this would be a perfect example to follow. 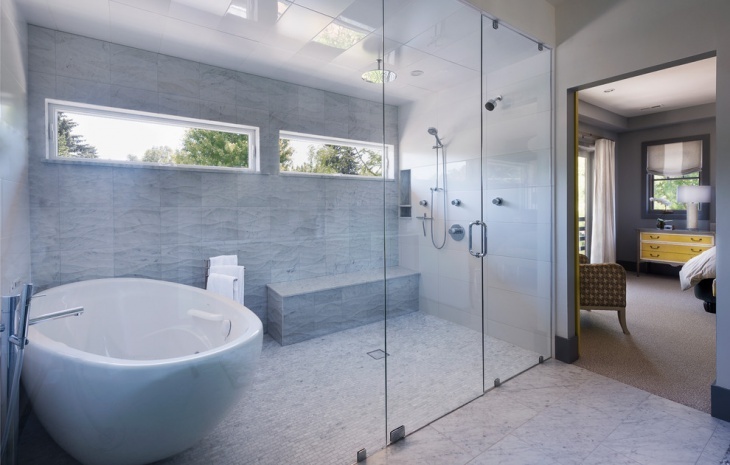 The curbless shower just requires a glass walls to make a cubicle and limit the spray of the shower jet to places that you don’t want to get wet. 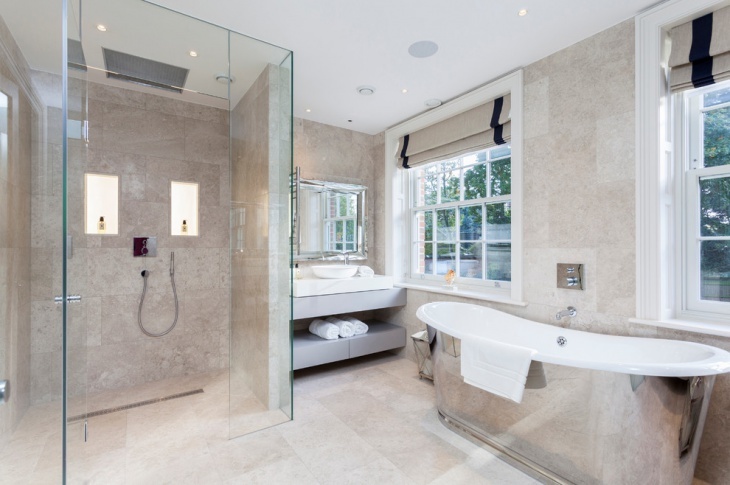 A bathroom is defined by two things – a wash basin and a place to bathe. 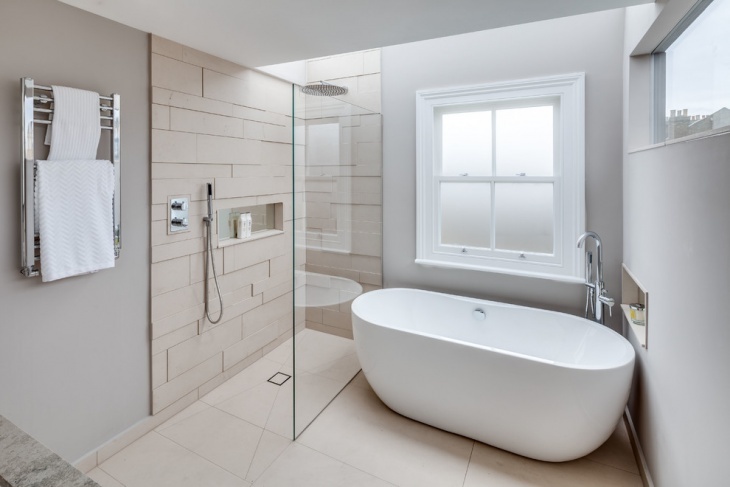 Well, this minimalistic idea can be excitingly integrated into your small bathroom space using curb showers, glass cubicles and an exotic tub. The mood is automatically set! 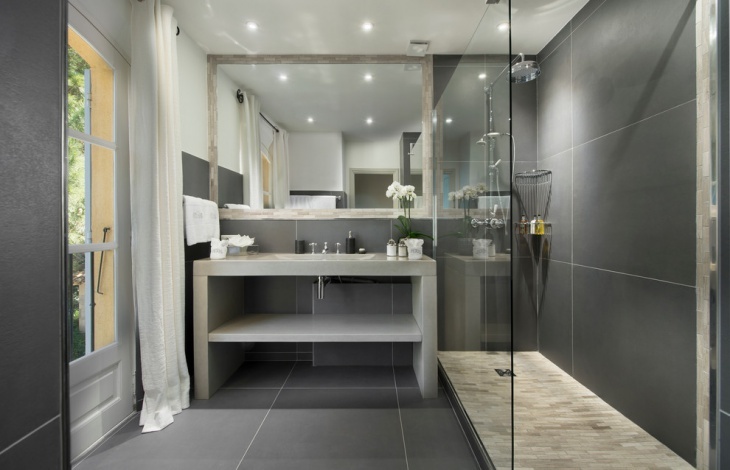 Depending upon your needs, the number of people in the household, their bathing times, you can always go for a narrow shower to make the most of your small bathroom space. If the shower space just means standing under the jet and getting soaked, this would be an advisable solution. 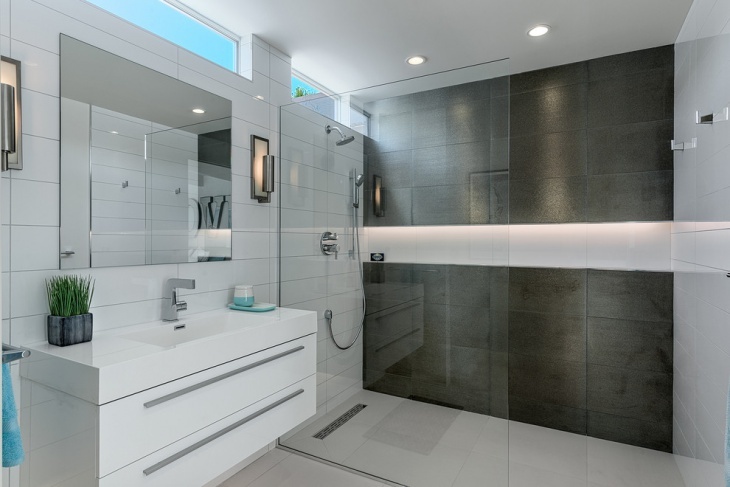 Design by : Sean Murphy Contracting INC.
Recessed shower spaces demands minimalistic look, a clean space, and construction that eases the maintenance. 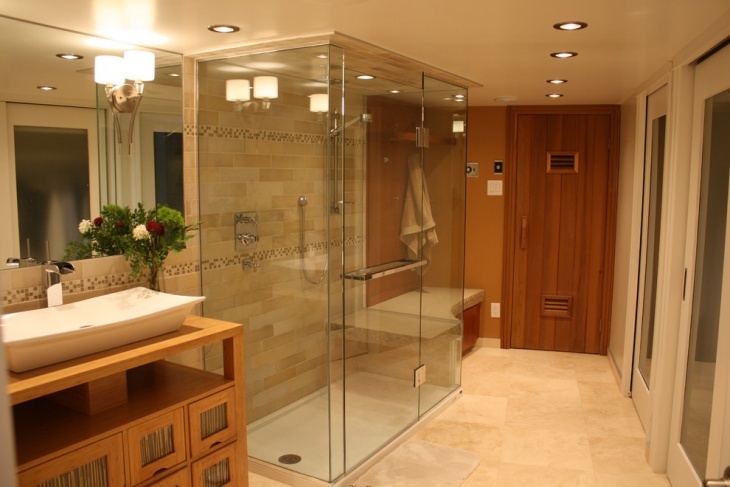 Here the shower space is established by the tad high platform and big glass doors. The overall white theme for this bathroom makes the room look big and sophisticated. This example shows a really exotic way to install a shower space in your bathroom. The overall theme of the space here follows a rustic and rich décor. 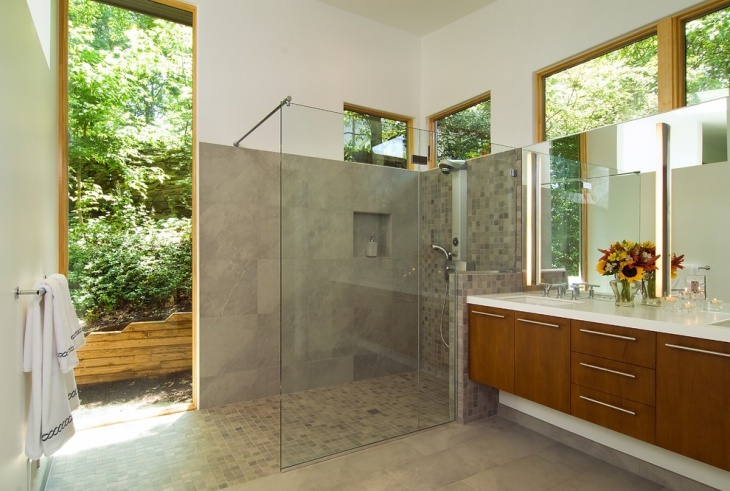 While wood and earth colors create a warm mood, the glass shower walls add to the excitement. If you have the space for it, just go for it! 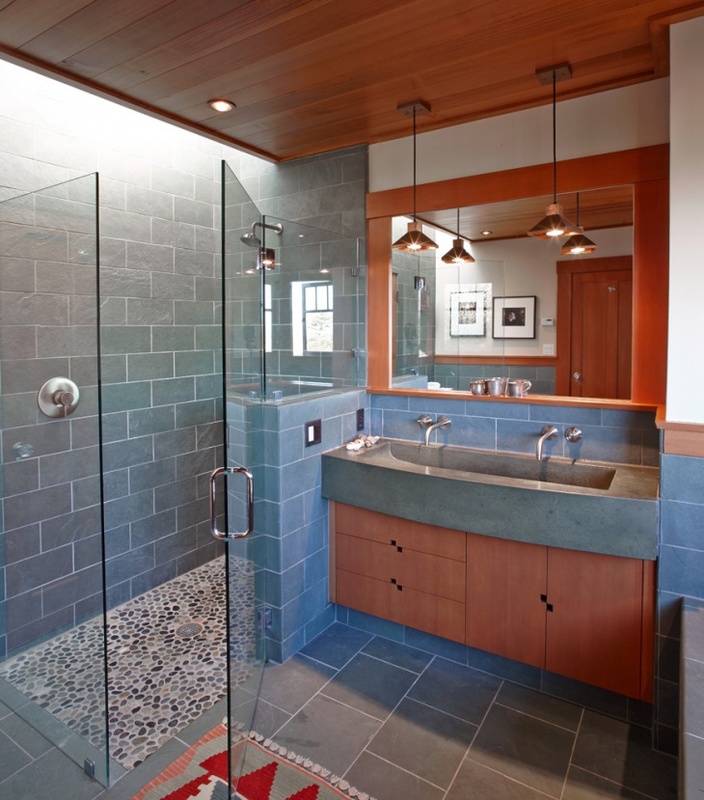 Large showers like this can be a really exotic way of beefing up the bathroom space. It also provides ample opportunity to do more with your bathroom! Glass walled showers automatically come with self flushing floors that guide the water out of the bathroom and keep the floor dry. It’s a right choice to make for any bathroom design. We hope you have liked our ideas of curbless showers. 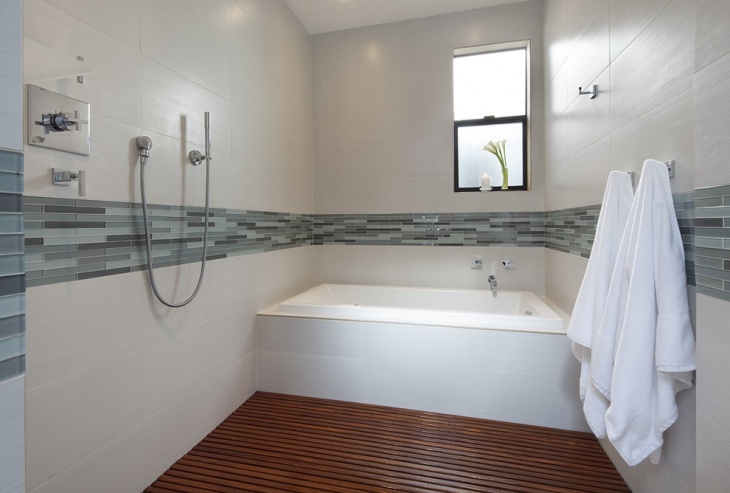 Apart from these, you can also go for low curb showers and sunken shower floor designs to create a unique look and achieve unique functionalities.